Emergency Dentists USA’s portal is an amazing one-stop place to locate a 24 hour emergency dentist in Elk Grove CA , if you are staying here and are suddenly taken down by immense tooth pain. We have worked hard to compile a network of reliable late night dentist clinics, and Elk Grove is within that network! If a sudden throbbing tooth or abscess threatens to have black clouds loom over your stay here, you will need an Elk Grove emergency dentist quickly, because you and your family don’t want to be held up by pain. If you cannot reach any of these dentists right away, don’t hesitate to use our hotline that serves as a referral service for a walk in dentist near you. I called and was able to get to talk to an emergency dentist in a few minutes, it was so great that I didn’t have to wait long since I was in so much pain! Elk Grove offers several options when you are looking for an emergency dentist. Elk Grove Dental Group and Orthodontics is an excellent choice for an emergency dentist as this clinic is open after hours Wednesday until 6 pm and also has Saturday dentist hours from 8 am to 2 pm. If you are looking to get into a dentist before working hours, Elk Grove Dental is a great choice because they open at 7 am Monday through Thursday. 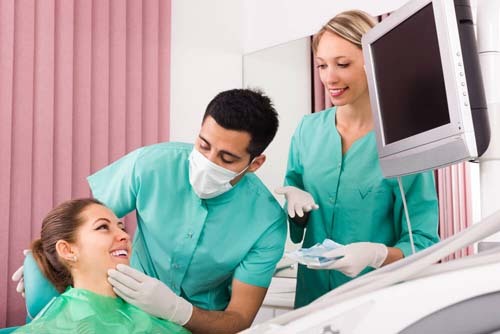 There are no 24 hour dentists in Elk Grove, however, there are emergency rooms which do take patients 24 hours a day, 7 days a week in emergency situations. Description: Call to be connected with the perfect dentist for you. 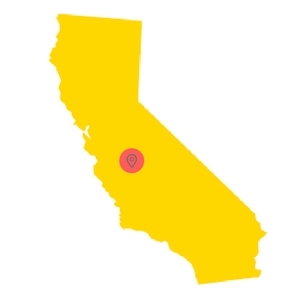 Elk Grove, CA is a large city and we have the connections to find a dentist to fit your needs, and can get you an appointment immediately. Description: Listed as an area dentist with after-hours availability, this is a local provider of excellent care. Whether it’s a root canal, emergency extraction, or problem analysis that needs to quickly take place, they will be there to help you with a courteous smile. Description: This Elk Grove area dentist will perform emergency services for patients, as he understands the dire need of anyone experiencing shooting pain overnight. He has greatly enjoyed being a traveling rest home dentist, and his patients claim his personal touch in service is top notch. Description: This emergency capable practice is in downtown Sacramento with a satellite office in Elk Grove, and is a perfect choice if you suddenly find yourself in need of a dentist open on the weekend. Striving daily to provide top notch dental and emergency care to the entire family, Doctor Archie graduated right here from Sacramento State University, and acquired her doctorate at the University of California in San Francisco. -Make sure that you check with your emergency dentist on which forms of payment they accept prior to your appointment. -You will also want to verify they accept your specific form of dental insurance, otherwise, your appointment could be a lot more expensive if you have out of network costs. -Arriving at least 15 minutes early is possible, is key. This way you can fill out any necessary paperwork and have time to ask any questions you may have on your procedure. If you are suffering from a severe toothache, it could mean that you are needing an emergency tooth extraction. Most dentists will only do these as a last resort, however, sometimes it is necessary. The emergency dentist will generally take an x-ray and examine your tooth. If he or she decides it must be extracted, they’ll go over sedation procedures with you. Usually, they’ll use a local or general anesthetic. A special tool is used to extract the tooth or break it into pieces for extraction if needed. The gum is stitched closed and the stitches will dissolve over time. Once the procedure has been completed, you must follow all of the doctor’s post-op instructions so that you do not get a dry socket or any type of infection. It’s best to eat soft foods for 24 hours, lay with your head propped up, and to not drink from a straw or smoke. Take any medications your emergency doctor prescribes and contact them if you notice any changes in symptoms or experience a fever. We love to provide you the best portal to locate an emergency dentist in Elk Grove CA if you are here and suddenly encounter one of the worst things to have to endure: serious dental pain. If you want to further investigate any of these dentists before you schedule, you can visit The California Dental Association.